Use this option to sync with the PC. Make sure that there is a Wi-Fi connection and that the PC is also connected to the same network. When this option is selected, the application displays a code as shown in the image. On the PC (assuming that the Playtalk Configurator is installed and running), use the menu options 'Device'->'Connect'. 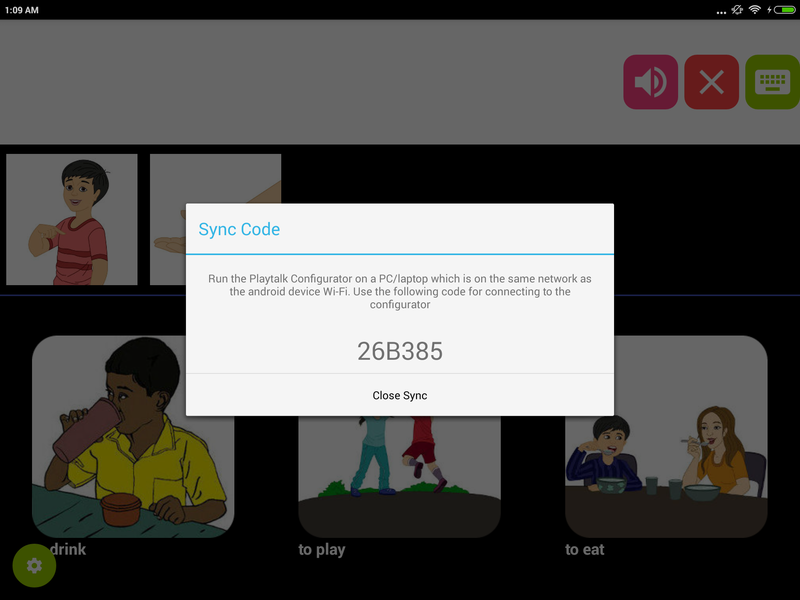 This will bring up a box where you have to enter the code provided by tablet in the previous step to initiate sync. You can now transfer configurations between the PC and the tablet.